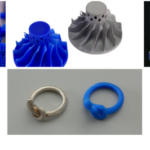 Jewelry Wax Patterns in Houston, TX | Laser Imaging, Inc.
Our high definition 3D printing service provides an affordable, reliable and quick turnaround means of producing finely detailed jewelry wax patterns and models that give back hours to designers to create and grow their business. The focus of jewelry is on the design. For this reason, many professionals in the industry have embraced our technologies to reduce the time and labor required in manufacturing. Not ready to make that big capital investment in a 3D Printer? No problems we can provide all your printing needs at our facility. Are you still hand-carving or milling? We are a 3D Printing Service and CAD design company. We do not sell jewelry, therefore we are your partner not a competitor. 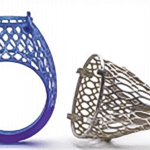 We have a full service solution for your 3D Jewelry Design, whether it’s just wax patterns, equipment, CAD design or education, we are here to help you grow your business.